Our ambition is to create a flexible framework that allows all structural engineers at Thornton Tomasetti to seamlessly design and document building structures. 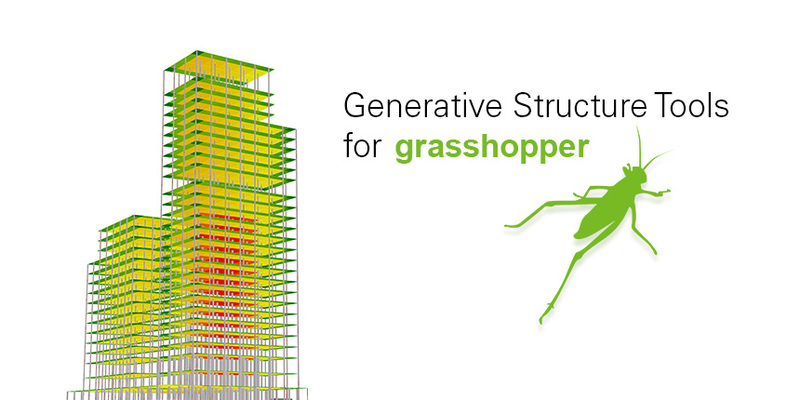 Since 2011, CORE studio has been developing a suite of structural sizing tools for Grasshopper that we call Generative Structure Design Tools. These include a number of different tools that let engineers and modelers calculate tributary areas of floor slabs, and use these for preliminary structural calculations. In order to understand stresses acting upon beam connections, our beam and girder layout and beam sizing tools, for example, take direct outputs from our facade loading tools in order to design a full framing system of a building structure. 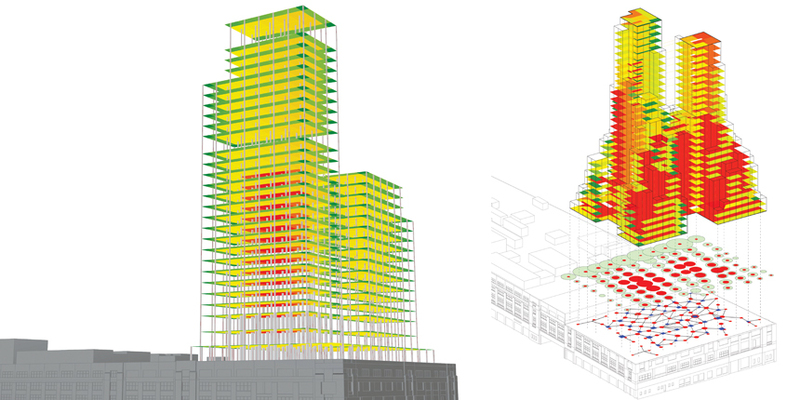 Coupled with our automated column-, foundation- and slab sizing tool ands, we can generate full structural building information models close to real-time. These tools can then inform the Carbon Calculator or be translated with TTX to generate drawings and fabrication models.